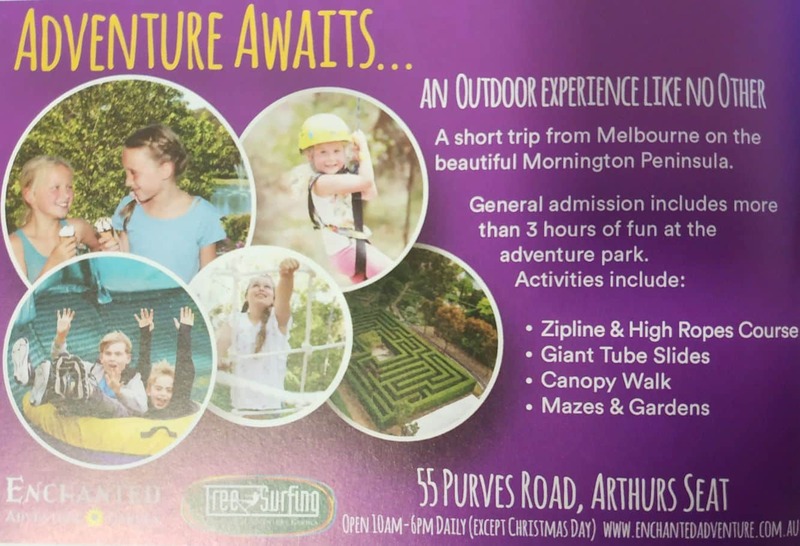 The Enchanted Adventure Garden is a wonderful family-friendly attraction located 1 hour south-west of Melbourne in an area known as Arthurs Seat. 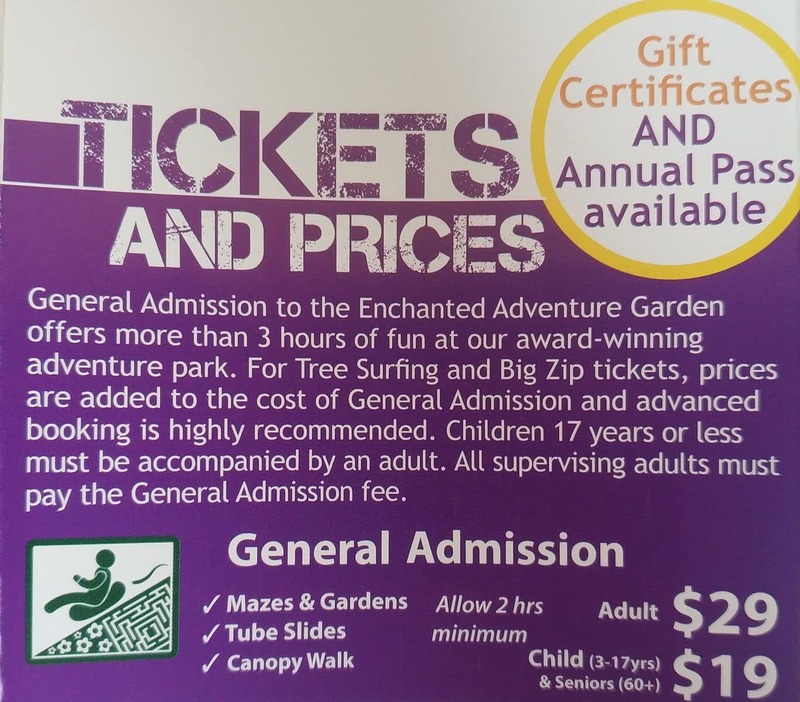 At the Enchanted Adventure Garden, you will find a maze, zip lining, tube riding, obstacle courses and so much more! There are three unique hedge mazes located here including a children’s maze which is perfect for children to find their way through and then have a play at the end. For families, there are also some amazing giant puzzles which you can try to solve together! Take a fun trip down one of the tube slides. They are super fast and completely safe! There are five slides to choose from including ones that twist and turn and others that fly straight down a hill. You must be aged 4 and love to ride on the tube slide and under 5’s are asked to ride with a parent or guardian. You can slide as many times as you like as this is included in the price of your entry ticket. 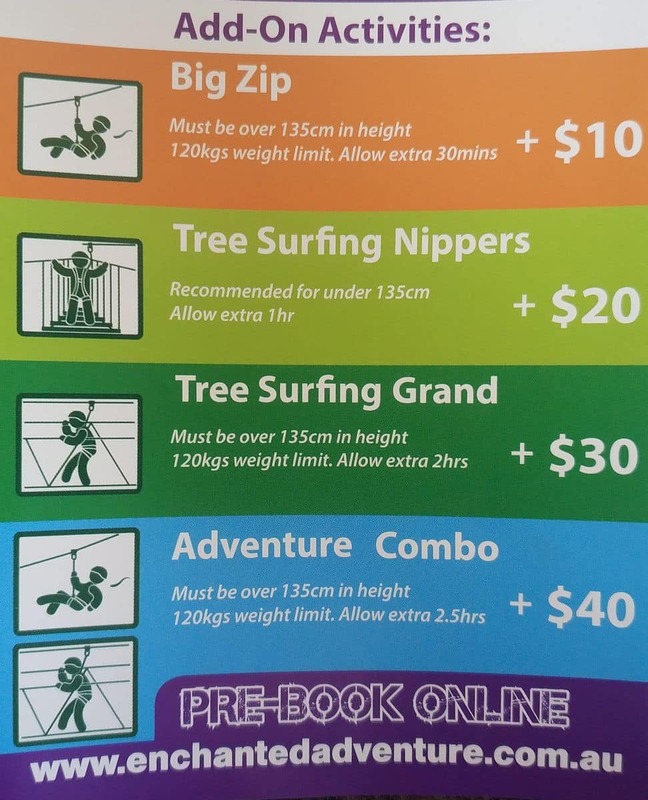 For those looking for a bit more adventure, head over to the Tree-Top climbing experience where you can make your way through 50 challenging obstacles. There are five fun zip lines here and high platforms over the gardens up to a height of 10 metres. There are five levels of challenges with a course available for young children under 135cms. There are also canopy walks, sculptures and a spooky maze to enjoy as well. Bring a picnic and enjoy the picnic tables, however, please note that there are no BBQ’s located here. There however a cafe located on site where you can purchase a range of healthy snacks. 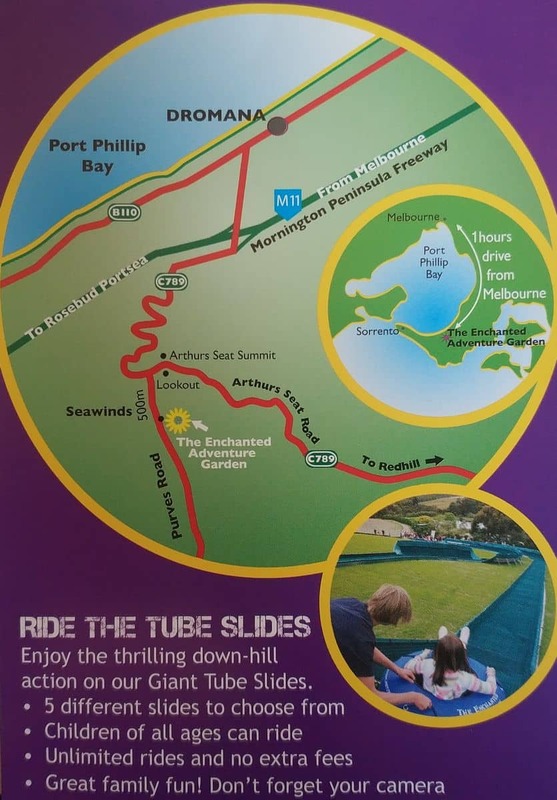 You will need to plan for between 3-5 hours to fully enjoy the park so come on down to Arthurs Seat for a great day out! Parking is available on site and you can get here by car via the Eastern Freeway and the Peninsula Link. General Admission (includes Mazes and Gardens, Tube Slides, Canopy Walk, 3D Indoor Maze).